Sensational Summer at Wellfield begins now! At Wellfield, May flowers bring gorgeous June blooms and, more importantly, Sensational Summer and its EVENTS! Now that you are about to turn another page in this year’s calendar, take a look at ours and see what you can fit in – we’ve got some great events coming up! No matter what your age or how varied your interests are, we’ve got something for you! On the Health and Wellness side, our Yoga classes start this Saturday, June 2nd. Click here to sign up, or click here for more information. Do you want to know more about what is going on in the Gardens and how to use your membership most effectively? Join our Robert and Peggy Weed Executive Director, Eric Garton, at our Visitors Cottage on Tuesday, June 5th from 6-7 p.m. for a Complimentary Membership Orientation and Update Session which will start indoors with refreshments and if weather allows, concludes with a tour outside. Registration is encouraged, and can be done by clicking here. On Thursday, June 7th, Wellfield will host Community Music Night from 6:30-8pm. Admission is free that day after 5pm, so come and walk the Gardens, then enjoy 30-minute mini-concerts provided by local music groups including the New Horizons Band, Elkhart Community Chorus, and the Golden Beats! 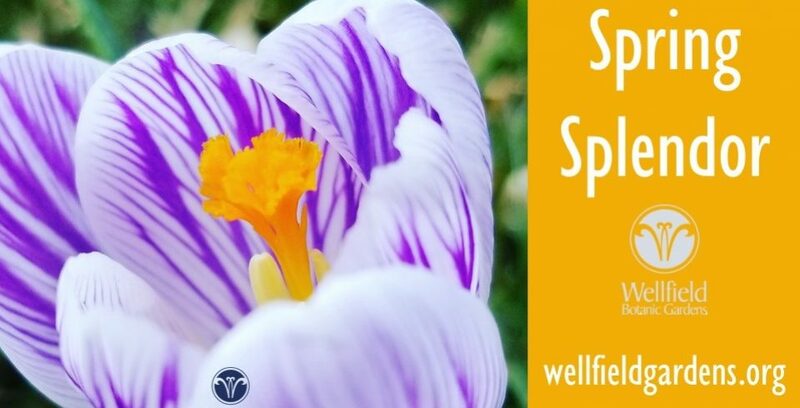 One of our members put it succinctly: “Join the fun at the beautiful Wellfield Gardens with music, energy, and friendship!” For more info, click the link above. Are you an “early” bird? Or do you prefer a late afternoon stroll? We have bird walks every Monday at 5:30pm through June, or join us on Saturday, June 16th at 8am for our Saturday Bird Walk. All walks are led by Mary Kauffmann-Kennel. Mary’s walks are always peaceful and informative; observations are always uploaded to ebird.org, as well. The walks are FREE with standard admission or membership. Registration is appreciated, but not required, and can be done by clicking here. If you want a reason to get dressed up and savor a gourmet meal paired with fabulous wines in a gorgeous setting, consider joining us on Thursday, June 14th for our premier gala event of the year: Summer Evening in the Gardens, where we honor our supporters. If you have not gotten your ticket yet, click here. RSVP deadline is Friday, June 8th. Need something to do with the little ones? Come to the Gardens on Tuesday, June 19th at 10 am for Lil Sprouts, where we will learn about when Caterpillars become Butterflies. So that we have enough supplies, we ask that you register by clicking here. If you can’t make it that morning, bring the kids out at 6 pm for Stories in the Gardens, presented by the Elkhart Public Library. Best of all, both programs are FREE! For all you music lovers, we know you can’t wait until Thursday, June 21st, when our 10-week concert series, Groovin’ in the Gardens, presented by Center for Hospice Care, kicks off. This year, we will feature local favorites such as the Whistle Pigs, Lalo Cura, and Paul Decker & the Real Deal, and will welcome local favorite Daryl Buchanan’s Soul & Motown Revue. But more about that in future posts! Our first concert of the season will kick off Jazz Fest and feature Bloodest Saxaphone. I know; we can’t wait either. Click the links for tickets for individual concerts and discounted season passes. This year’s Quilt Garden has been planted and is starting to grow! This year’s theme is “Star Flower Power”, and it is located just outside our Visitors Cottage. WNDU recently stopped by to check it out: click here to see their story. Speaking of our Visitors Cottage, have you been to our gift shop in a while? We’ve got some great new items, including adorable Folkmanis Puppets! We also have some great new book titles and gift bags of our beauty products (soaps, scrubs, lotions and lip balms) ready made, so if you need a quick hostess or teacher gift, stop by and pick one up! We can create custom gift bags as well, just call 574-266-2006 x105. There are so many exciting things to see and do at Wellfield during Sensational Summer! As always, keep checking our website and our Facebook page for all the latest updates. With all these different activities, there has to be something for you! See you at the Gardens!